To get this picture, I had to stand motionless for ten minutes in the mud bordering a pond on King Street. Moments after the dragonfly landed, the bug scampered down the blade for a better look. He may have done so at his peril: Dragonflies are fearsome hunters—the Tyrannosaurus rexes of the insect world. Alas, however, I don't know whether the dragonfly snatched him or not. 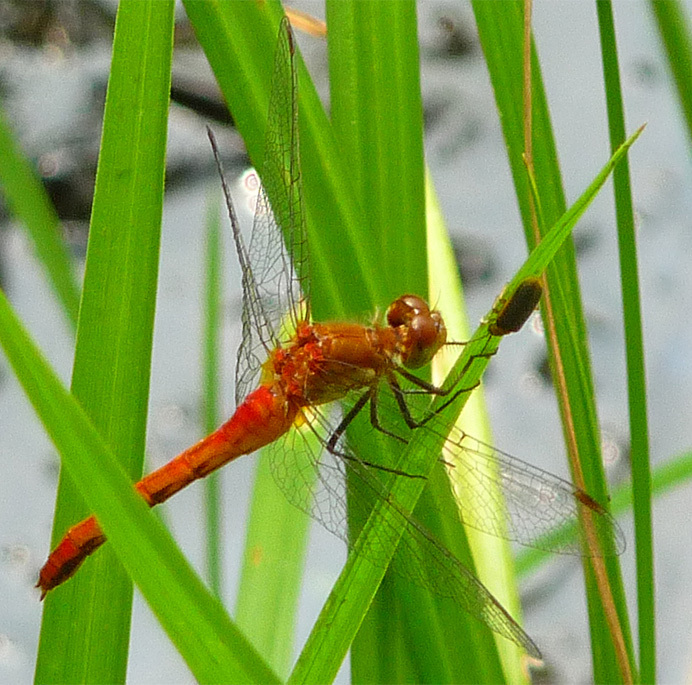 I didn't notice him in my viewfinder, and so I stopped taking pictures when the dragonfly departed. I didn't discover the little drama until an hour later, when I sat examining the exposures on my computer. .